Comment: We would like to have some concrete tiles removed and replaced with 24" x 30" individual flagstone tiles. This would be considered a small and not very complex job. We are requesting estimates for this project. Comment: Backyard patio. Approximately 500 sq. ft. Comment: Natural stone wall. 100 feet by 4 feet by 1 foot. Comment: Due to salting concrete entry steps are chipping away and part of concrete step has broken off. Also need railing replaced. Gaithersburg Concrete Contractors are rated 4.75 out of 5 based on 1,613 reviews of 74 pros. 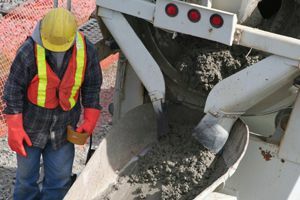 Not Looking for Concrete Contractors in Gaithersburg, MD?